AUGUST 31st, 2014 (WORLDWIDE): The Pixel Project, an anti-Violence Against Women non-profit, will be teaming up with select communities on reddit, one of the biggest social networking communities in the world, for a special two-day “Read For Pixels” AMA (Ask Me Anything) marathon on September 2nd and September 3rd 2014. 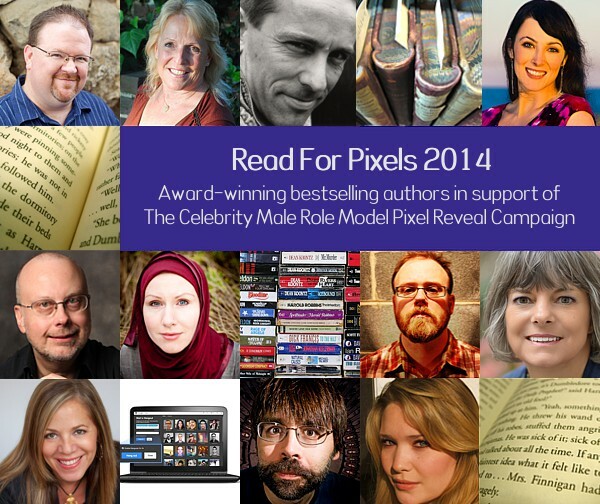 This marathon is being held in support of the upcoming “Read For Pixels” 2014 campaign, which will feature live Google Hangouts with award-winning bestselling authors in support of the Celebrity Male Role Model Pixel Reveal campaign, which aims to raise US$1 million in aid of The Pixel Project and the USA’s National Coalition Against Domestic Violence. This special AMA marathon will be hosted at the Books subreddit (www.reddit/r/books). “Read For Pixels authors participating in this AMA marathon include Ellen Hopkins, Robert J. Sawyer, Cinda Williams Chima, Chuck Wendig, Delilah S. Dawson, Alyson Noel, Jasper Fforde, Simone Elkeles, and G. Willow Wilson. The AMA will be overseen by over 12 moderators from the Books and Fantasy subreddits. For more information, contact The Pixel Project team at info@thepixelproject.net. Reddit is one of the largest social networking / interest group sites on the web. It is made up of thousands of sub-groups that range from generic ‘books’ or ‘sports’ to niche communities like ‘Fantasy’ to some of the oddest groups on the internet. Each community is moderated by volunteers and, collectively, they make up reddit.com. The reddit.com Books community (www.reddit.com/r/books) is made up of 2.7 million fans of books and literature – one of the biggest groups on the site. The Fantasy group (www.reddit.com/r/fantasy) is a collection of 60,000 speculative fiction fans and a writer-friendly place that has hosted more than 200 of these ‘Ask Me Anything’ or AMA sessions. As part of The Pixel Project’s 30 Artistes, 30 Songs, 30 Days” project in support of the Celebrity Male Role Model Pixel Reveal campaign, we talk to the artistes who have participated in the project about why they are using their music to speak out and to say NO to violence against women. Our twenty-second featured artiste is Pete Ahonen. Pete is an East Bay native / singer-songwriter — pairing his blend of ‘alt-country / folk-rock’ with an incredible knack for storytelling. Pete says: “When I was a kid , maybe just 5 years old, I was obsessed with this little push-button guitar. It only played ‘twinkle twinkle little star’ but every time I hit that button I felt like Jimi Hendrix! My mom gave me the guitar that she used to mess around with in high school and the obsession is still going! I’ve played everything from intense studio sessions, to festivals, to Jam bands… My favorite moments in life are being part of the music while its happening. Its almost like your not playing music, but you are the music!” To find out more about Pete, follow him on Facebook. Pete contributed his song, “Picture In My Pocket” to the “30 Artistes, 30 Songs, 30 Days” campaign in support of the Celebrity Male Role Model Pixel Reveal campaign that in benefit of the National Coalition Against Domestic Violence and The Pixel Project. Donate at just US$1 per pixel to reveal the mystery Celebrity Male Role Models and help raise US$1 million for the cause while raising awareness about the important role men and boys play in ending violence against women in their communities worldwide. Donations begin at just US$10 and you can donate here. Tell us about yourself and why you decided to take part in The Pixel Project’s “30 Artistes, 30 Songs, 30 Days” project. I am a songwriter from the Bay Area, California. I originally wanted to be a part of the pixel project because I’d written a song pertaining to slavery and hoped it could be used in some way to help. Your heart and your music together have a way of becoming stagnant if you’re just thinking about yourself all the time. You see all these musicians who make a lot of money, who have big record contracts, and who are just too self-focused. I believe that we weren’t created this way – we were made to give pieces of ourselves back to others and I hope this song can do that in some way. Why is ending violence against women important to you? Violence against women is far too accepted in our male dominated culture – people are affected everywhere, they’re scared and full of fear. I see it all the time, in my neighbourhood. People do things because it was done to them. If you see it in your house when you’re growing up, it’s so easy to continue that trend in your life. You’re not even conscious of it. If you’re living your life in fear, you’re not being all that you could be; you’re not doing what you could be doing, because you’re afraid. It steals your potential, it steals your right to love and be loved in the way you’re meant to. It’s not a predestined thing though, and the cycle can be undone. We can be whoever we want to be in life. It’s in the way we live, the way we are and the way we treat other people. In your opinion how does music help in efforts to end violence against women? Everywhere around the world women in particular are victims of violence of some form. We need to give people the right information, skills and opportunities to take action when women’s rights are violated or compromised. With music, there’s a way to reach people that you may not normally reach, I mean, everyone listens to music. Music can help end violence because the words and melodies can influence and challenge the soul. What actions can music artistes take to help end violence against women? Artists and performers should carry their strong anti -violent messages to the ears of the people who follow them… and word spreads like wildfire. You want all people to have access to this information. It affects all walks of life to different degrees. Musicians can help because they have an outlet that others don’t have, and when people hear music that they relate to, it confirms how they feel and gives them hope or brings some fight back in them. If you can create a song that brings a shot of vigour into the life of somebody who needs it, in my opinion, you’ve done your job. The “Music For Pixels 2014″ charity digital album is available from 1 April 2014 – 1 April 2015 as a companion to the “30 Artistes, 30 Songs, 30 Days” campaign. The album features a selection of 12 positive and empowering songs from the campaign by artistes including Adam Web, AHMIR, AJ Rafael, Bob Sima, Courtney Jenae, Debbie Reifer, Delaney Gibson, Ellis, Macy Kate, Mary Sholz, Pete Ahonen, and Troy Horne. The album is the perfect and affordable gift for music lovers and for celebrating special occasions such as birthdays and Mother’s Day. It is available for download worldwide via major online music retailers including iTunes and Amazon.com. 100% of the album proceeds will benefit The Pixel Project to help keep their anti-Violence Against Women campaigns, projects, and programmes running. 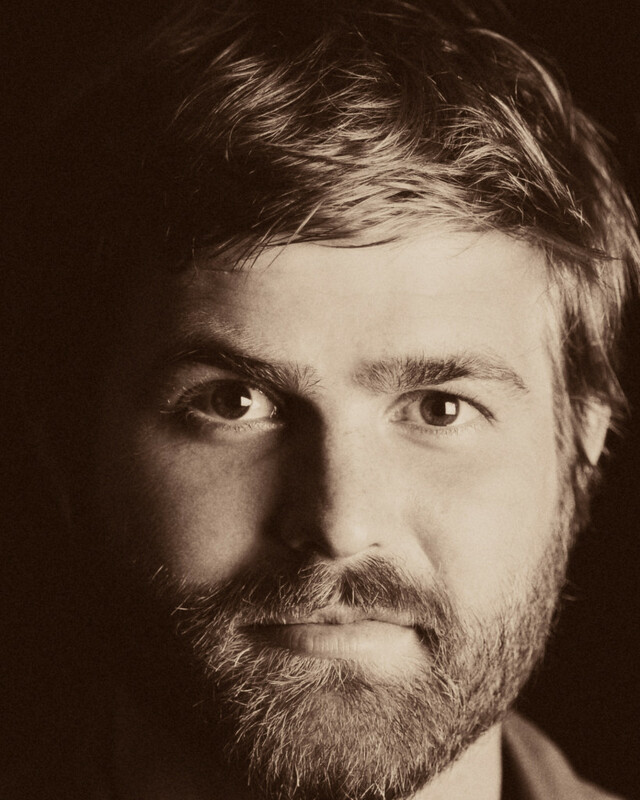 Our twenty-first featured artiste is Scott Johnson. Scott is the Executive Director of the Positive Music Association which he co-founded in 2003, an international organization promoting positive music artists and positive music as a distinct genre of music. Positive music is defined as music of all styles with universal, life-affirming messages. 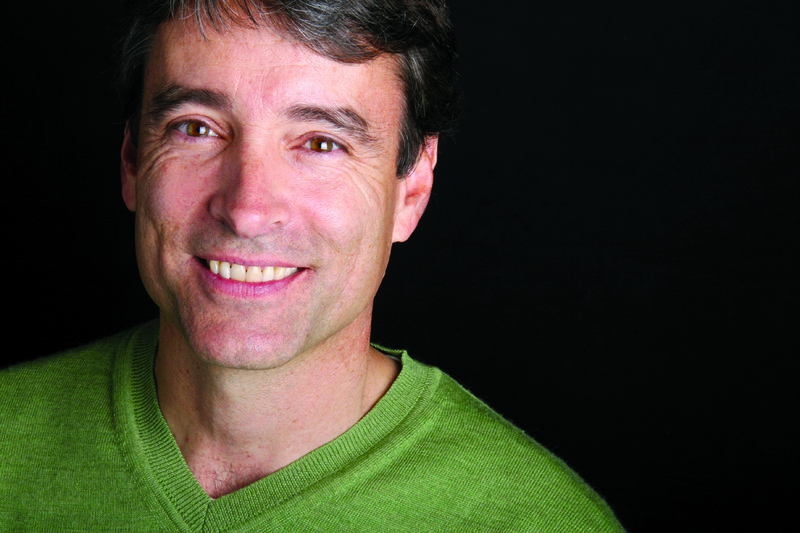 In 2012, Scott founded World Singing Day in an effort to bring the world together through song. In 2013, he received the Kathy Gee Award for Outstanding Support of Positive Music. He has released 6 CDs of his own music, from children’s music and a special CD for hospice to positive pop/rock music. Scott is also a life coach, graphic designer, and author. He lives in Boulder, Colorado with his wife and their two college-age daughters. To find out more about Scott and Positive Music Association, click here. Scott contributed his song, “Right This Moment” to the “30 Artistes, 30 Songs, 30 Days” campaign in support of the Celebrity Male Role Model Pixel Reveal campaign that in benefit of the National Coalition Against Domestic Violence and The Pixel Project. Donate at just US$1 per pixel to reveal the mystery Celebrity Male Role Models and help raise US$1 million for the cause while raising awareness about the important role men and boys play in ending violence against women in their communities worldwide. Donations begin at just US$10 and you can donate here. As a songwriter of life-affirming music, and the founder of the Positive Music Association and World Singing Day, I know the power that music has to empower and uplift people. The Pixel Project also knows the power of music and is wisely using it to stop violence against women around the globe. It was a natural fit for me to be involved in this wonderful campaign. I’m married to a healthy, confident woman and together, we have raised two bright, independent daughters. Violence against women is not only wrong, it makes it difficult for women to live out their full potential and contribute fully to society. We need healthy, strong girls and women for humanity to thrive. Music is the international language. It speaks to people of all cultures and nationalities. By promoting music that empowers and uplifts people, especially girls and women, we are paving the way for more healthy thoughts and attitudes toward women to take hold in our societies. Sing about it. Write songs about the issue. Through their lyrics, artists can help girls and women have new beliefs about themselves that are empowering. Popular artists especially need to lead the way in sending positive messages to girls and women. Our twentieth featured artiste is Narmi. Narmi’s calm artistry in his music has inspired a genuine loyalty from listeners. An efficient songwriter swan dives in and resurfaces armed with songs that sticks in the hearts and minds of many. Creating heartstrings with his listeners seem effortless. Narmi’s song-writing is derivative on how he sees the world, putting them into wordplays that paint pictures ever so colourful that you simply want to share with everyone. Juggling groove duty on the drums for pop punk-rock outfit, One Buck Short (OBS), Narmi’s singer-songwriter debut surprised many. What was once a behind-closed-door-bedroom-singer-type-escape is now the heartfelt career pursuit in the music industry. Narmi’s debut single “Make Me Whirl” from the Adventures EP successfully charted the Hitz Top 40 countdown and remained #1 on MET 10 charts for three consecutive weeks. The quirky song tells a story of the many ways of keeping the love in progress with the convenience of connectivity such as Skype and Tumblr. To find out more about Narmi, follow him on Facebook and Twitter. Narmi contributed his song, “Tweet In Defiance” to the “30 Artistes, 30 Songs, 30 Days” campaign in support of the Celebrity Male Role Model Pixel Reveal campaign that in benefit of the National Coalition Against Domestic Violence and The Pixel Project. Donate at just US$1 per pixel to reveal the mystery Celebrity Male Role Models and help raise US$1 million for the cause while raising awareness about the important role men and boys play in ending violence against women in their communities worldwide. Donations begin at just US$10 and you can donate here. Hello! 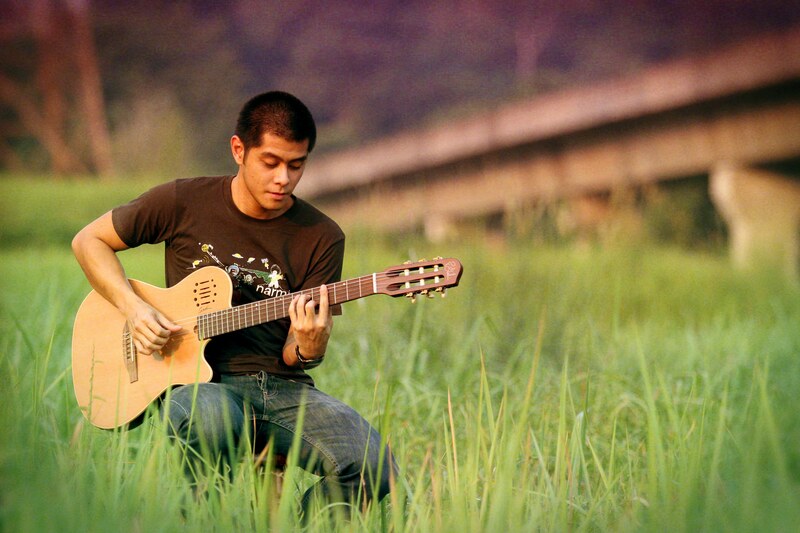 My name is Narmi and I’m a singer-songwriter from Kuala Lumpur, Malaysia. I have been in the music industry for over 10 years now and most of that time was spent playing drums for local pop punk band One Buck Short. I decided to take part in this project because violence against women is a serious matter, and as influencers, we have the power to spread news and further awareness to our friends and fans. Ending all kinds of violence is important to me. Whether it is violence from bullies or child abuse or violence against women, we are all human beings and those who have the power to help must always lend a hand in whatever way possible. Furthermore, where would we be without women? Their nurturing and caring nature has certainly helped to make the human race what we are today and we must strive to help in any way possible. Music soothes the angry beast. Sometimes one can only hear a message through a song or through music. And even though we don’t understand the lyrics from a song right off the bat, we can certainly relate to the emotions being portrayed by the singer or performer. Sounds can make you feel. It can make you feel anger, sorrow, happiness, and definitely empathy. That is why the right music will help in the efforts to end violence against women. Music artists can help by using the power of their influence over their fans and friends alike. Today, artists use social media to connect with their fans, so it is easier to send out a call-to-action message. Music artists can also write songs that are directly or indirectly related to the message that they want to send out. Michael Jackson’s song “Heal The World” is a direct call-to-action song that has a central meaning. People remember melodies a lot easier than speeches. Our nineteenth featured artiste is Mary Scholz. Philadelphia raised and Los Angeles based Indie Singer/Songwriter Mary Scholz has spent the past seven years on the road, playing shows in songwriter venues and festivals all over the country. Singing since the age of four and writing since the age of fourteen, Mary’s music is a blend of lyric folk & pop/rock with a bittersweet twist that puts her in a category of her own. She’s come a long way since her start singing in choirs, school shows and playing in the school band, with a 2011 Hollywood Music and Media Award nomination for her song, “Tennessee,” released on her third EP, “Water Rising.” A graduate of The University of the Arts, Scholz released her first full length album, “The Girl You Thought You Knew,” in February of 2014. It’s release was supported by a three month tour of the US. “I write about things that matter to me – things that are close to my heart. It’s my hope that through music we can connect to one another, to better understand that we are all alike and that no one is alone.” To find out more about Mary, follow her on Facebook, or check out her videos on YouTube. Mary contributed her song, “Beautiful Girl (Live My Life)” to the “30 Artistes, 30 Songs, 30 Days” campaign in support of the Celebrity Male Role Model Pixel Reveal campaign that in benefit of the National Coalition Against Domestic Violence and The Pixel Project. Donate at just US$1 per pixel to reveal the mystery Celebrity Male Role Models and help raise US$1 million for the cause while raising awareness about the important role men and boys play in ending violence against women in their communities worldwide. Donations begin at just US$10 and you can donate here. I was born and raised just outside of Philadelphia and music has always been a huge part of my life. I’ve been singing and writing since I can remember. With the Pixel Project, I am grateful to have the opportunity to use my music to pass along a message of hope and reminder of strength to those women who have suffered at the hand of violence, be it physical or emotional. That is the biggest goal for me where my songs are concerned – for those that listen to know that they are not alone in their struggles. If the music can be a source of strength, then I have done my job. Along with raising us with a love for all things musical, my parents were very firm and purposeful about raising my siblings and I with a sense of justice and kindness towards everyone. It seems absurd to me that such violence is so rampant between human beings. Women’s equality is a big issue in my book as well, so I am happy to participate in a project that raises awareness about the issues that women are facing around the world. Honestly, I believe the music is most largely helpful as a source of comfort to those who have already suffered. I also believe that if the use of music can gain the attention of those who might not be aware of the issues, then that is a wonderful thing. We can help by continuing to spread a message of love, positivity and hope, as well as participating in projects by nonprofits such as The Pixel Project!